I love a quaint B&B. Undoubtedly one of my favourite parts about planning a weekend away is searching for a unique place to stay that has its own little stamp on it. With a good B&B you can tell that the owner has poured their heart and soul into every aspect of it, from the way it has been designed to the way in which it’s run. In my experience you never really receive the same level of care and attention to detail when you stay at a larger hotel. To quote Four in a Bed, “When your home is your business, everything is personal.” Case in point? 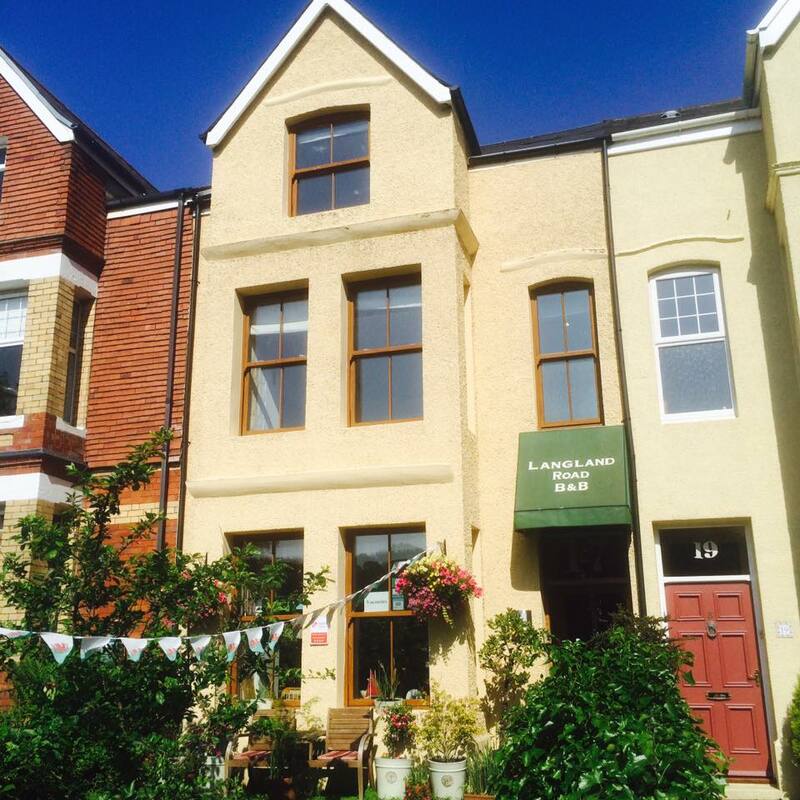 The Langland Road B&B. 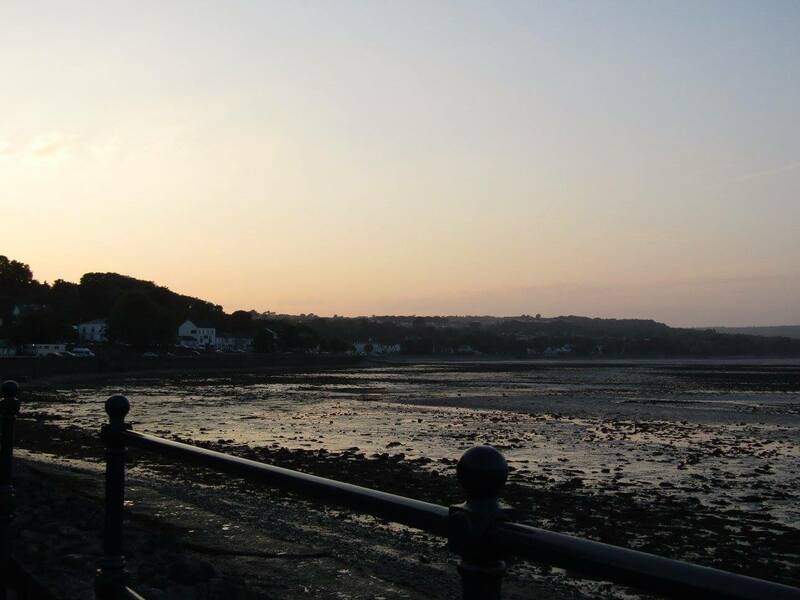 Nestled in the heart of Mumbles, this charming B&B is run by owners David & Giles. If it looks familiar, that might be because it is. The B&B was featured on the popular Channel 4 series, Four in a Bed, where it went down extremely well with some discerning B&B owners! I’m happy to say that my visit to Langland Road was just as positive. Upon arriving at the B&B we were greeted immediately by David and Giles who gave us a very warm welcome, took our luggage up to our room and recommended some local sites to visit. Not ones to waste any time, we headed straight out to explore the vicinity. 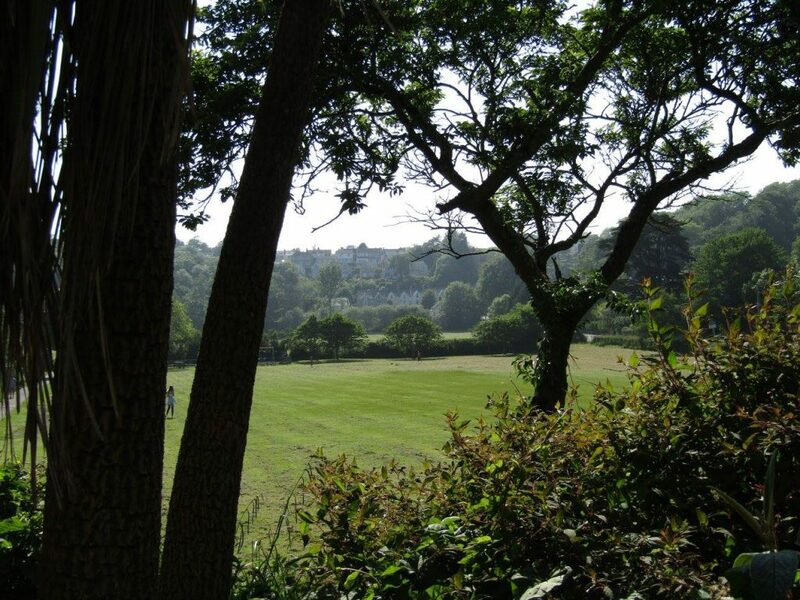 Langland Road B&B is situated directly opposite a lovely park but is still just a five minute walk from the many independent shops, restaurants of Mumbles, as well as Swansea Bay itself. Care and attention has gone into just about every aspect of the design of the guest rooms. We were lucky enough to have a front-facing room that overlooked the picturesque park, but the views inside the room were just as impressive as they were out. The B&B strikes the perfect balance of modernity and homeliness, with eclectic décor filled with interesting vintage furniture and unique knick-knacks that give the room a real sense of character. The attention to detail is something that really has to be admired – there was even a framed article that told the story of how Mumbles got its name! These little features really added interest to our stay. 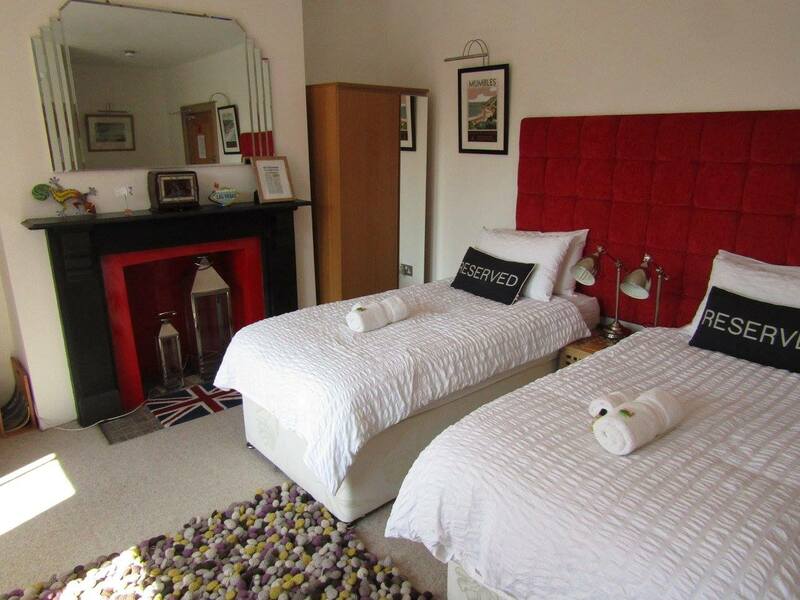 David & Giles pride themselves on providing a modern and sleek B&B service, and it really shows. The facilities were top notch. With a flat screen TV, air conditioning and even your own kettle, you have everything you need for a comfortable stay whatever the weather. As an honourary Cosy Traveller myself, a good cup of tea never goes amiss so I was delighted to hear that fresh milk could be accessed any time of the day from the fridge in the breakfast room – it’s the little things that count! 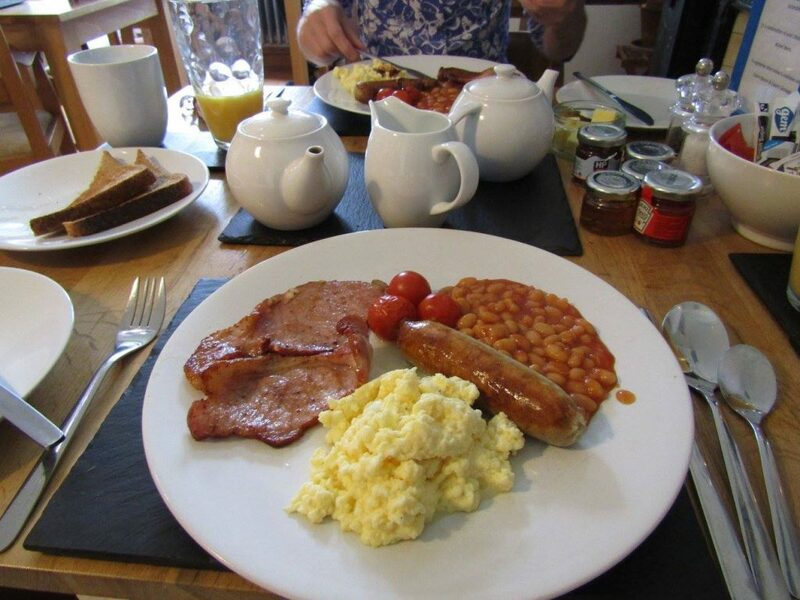 Well no B&B experience would be complete without a cooked breakfast, would it? Although cereal, croissants and vegetarian options are all available. Let’s just say that this tasted just as good as it looks! Rooms at the Langland Road B&B start at £80 a night. For the welcome and the exceptional level of service that David and Giles offer all their guests, I think this is a small price to pay! I would without a doubt visit Langland Road in the future. A personal level of care goes into every part of the experience here and this made a real difference to our overall trip. David and Giles even run their own blog to document all the comings and goings of the B&B. It makes for a HIGHLY entertaining read. 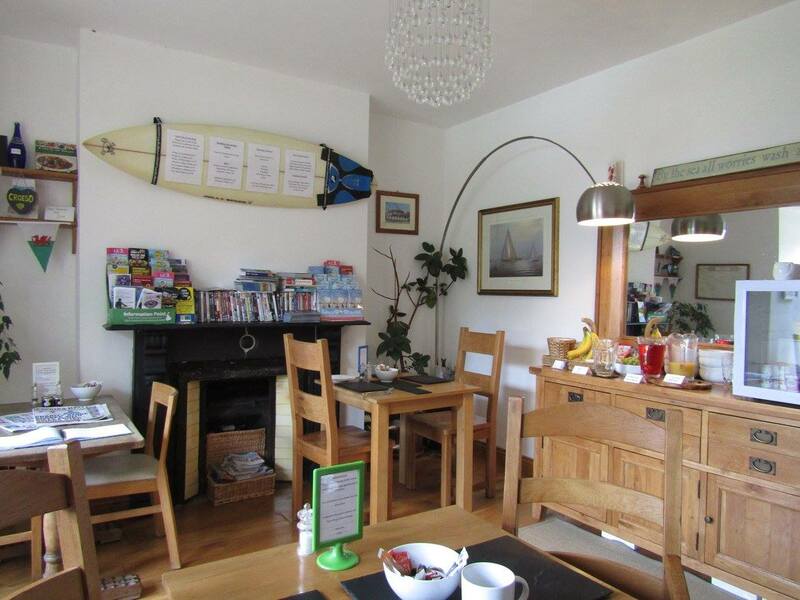 If you like your B&Bs with charm, character and an extra warm welcome, then you’ll have a more than pleasant stay at the Langland Road B&B. 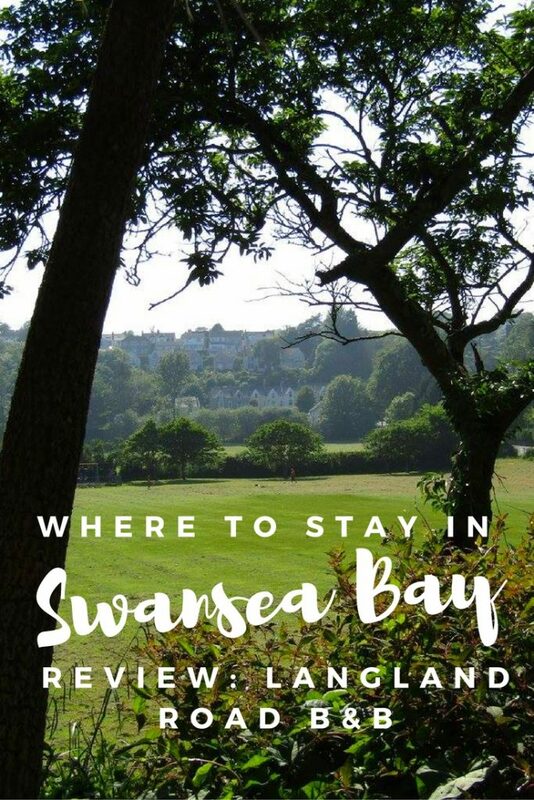 Many thanks to Visit Swansea Bay and The Langland Road B&B for hosting us on this trip. All views and opinions are, however, our very own! Full-time copywriter who accompanies Emily on 96% of all her trips. Loves tea, sleeping and cats.